Children’s parties are always exciting with its line-up of games and a get together of your child’s peers, relatives, and parents. 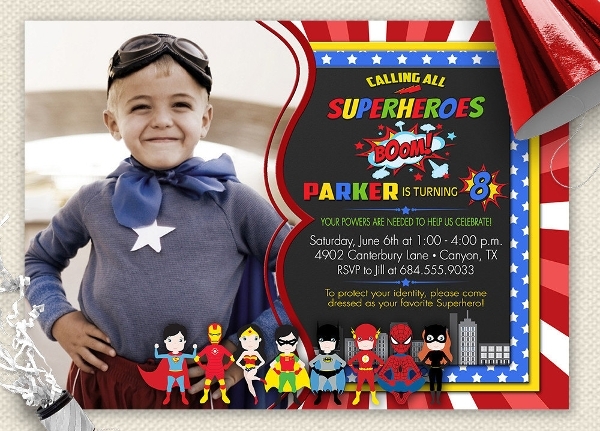 To ensure the attendance of your guests, handing out birthday invitation cards are necessary. 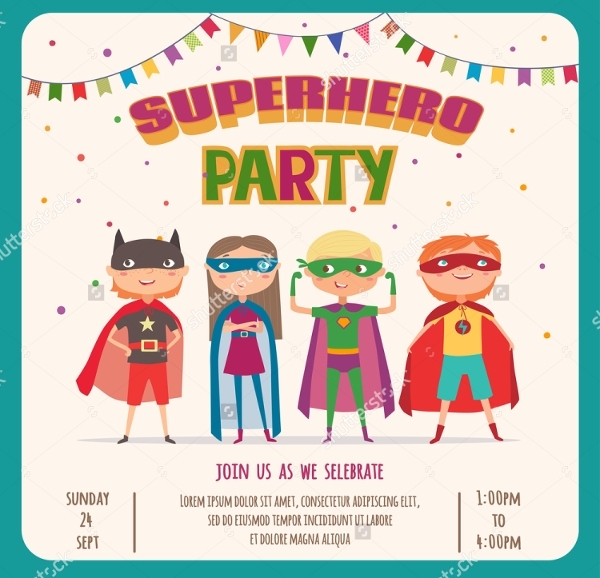 Since kids nowadays enjoy a lot of their favorite superhero characters and personas, that could be made into the birthday’s motif. 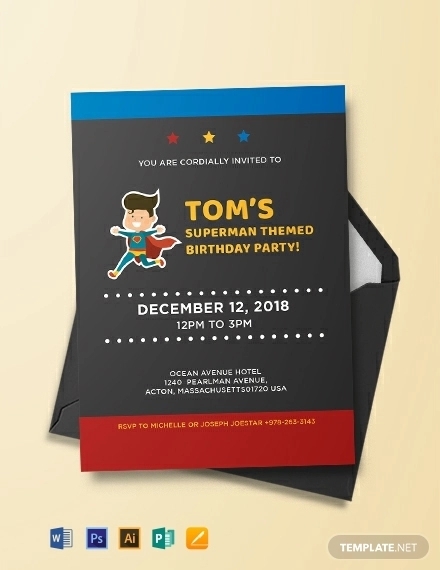 To help you get by in making invitation cards, we have a collection of superhero birthday invitation designs you can use for any birthday events. All are available in a downloadable format. 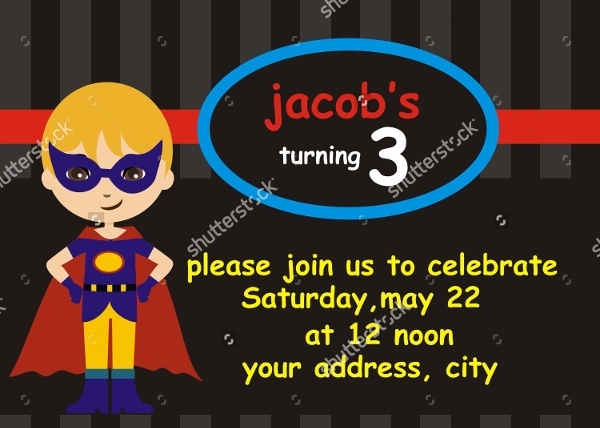 You may browse through our printable birthday invitations to view the different invitation card designs in more detail. Inform your guests of who’s birthday they’ll be celebrating. For example: “Jorge’s Turning 8!” or “Save the Date for Karen’s 4th Birthday!“. Let it be known who’s birthday it is and you could also add some copy to go along with the headline. 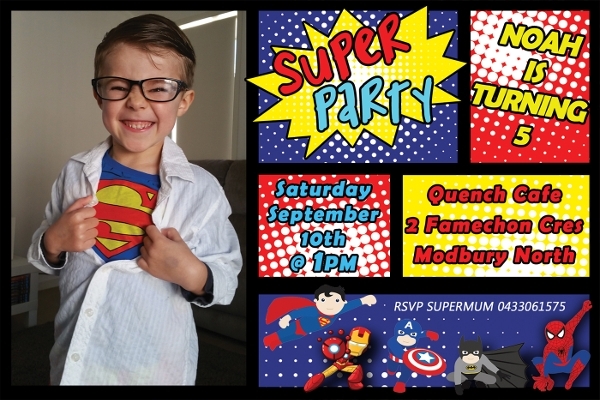 Such as “Join in the fun and dress as your favorite superhero.” or “Get into your superhero pose and come celebrate…“. Event details such as time, date, locale and motif should be added on your birthday invitation card. Notify your guests ahead of time to ensure their presence. 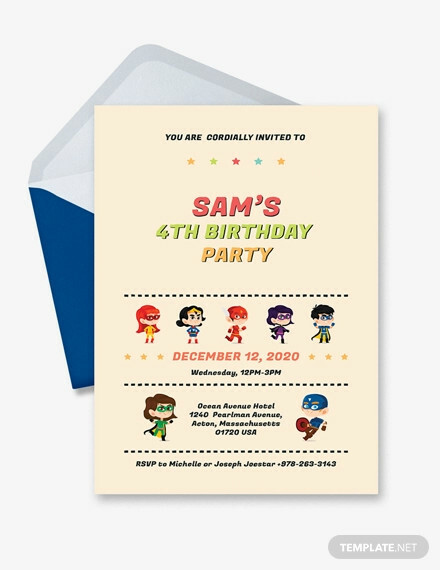 If any of the event details needs further information, you could always place the directions or details in a separate or back of your invitation card. Call to action. 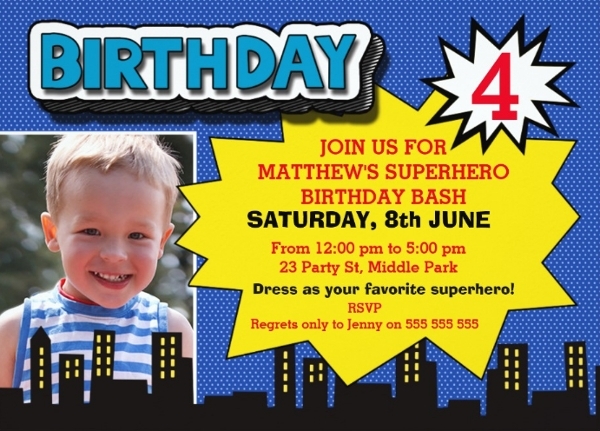 Place your contact details, such as mobile or home number for further information or to receive replies from your guests regarding the birthday event. You may also check out these Mickey Mouse birthday invitations that we know children would love. Who says superheroes are not for girls? 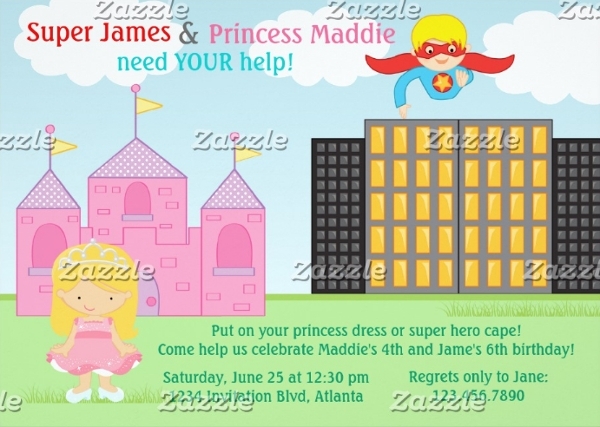 The Superhero Girl Birthday Invitation is perfect invitation card design for the unconventional daughter. This digital art features the lovely Wonderwoman accompanied by Spiderman, Batman, Superman, and Captain America. This design is available in 300dpi which means it is in high-resolution which is good for printing. 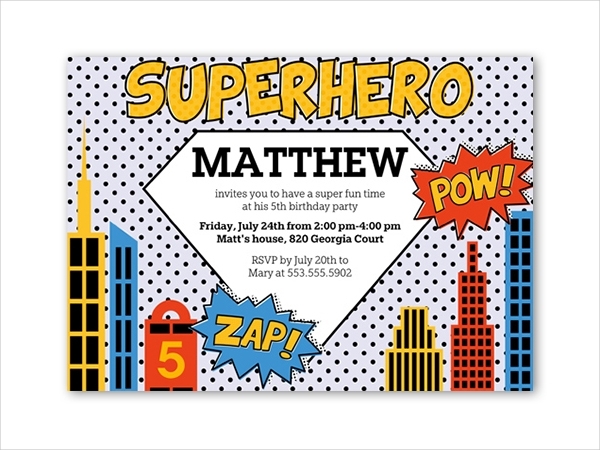 If you are aiming for a pop art inspired design style, the Free Printable Superhero Birthday Invitation, and Superhero 4th Birthday Invitation are superhero perfect. Both samples meet a colorful and comic feel to its designs and it just gets exciting. 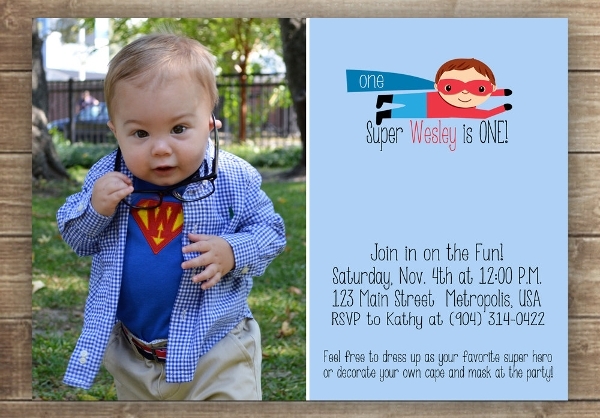 Don’t forget the Personalized Superhero Birthday Invitation design. It can double as a female celebrant invitation card as well.